2019 means 20 years of Sabaton! The Swedish legends of power metal with their own festival and cruise, several platinum awards and a whole bunch of other trophies will be the third headlining act at Greenfield Festival’s anniversary edition! 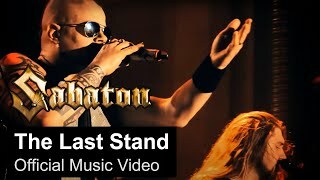 After touring for three years with their last record “The Last Stand”, Sabaton take their time to work on the next throw to shake the world of metal. Sabaton stands for epic power metal songs with war-themed lyrics, Sabaton stands for electrifying live shows with as much pyrotechnics as legally allowed, Sabaton stands for madness at Greenfield Festival!